After successfully replacing one of the two original wet screens at Tarmac’s dredged aggregate grading facility in Southampton, Centristic was asked to carry out a similar operation when the second original screen failed. 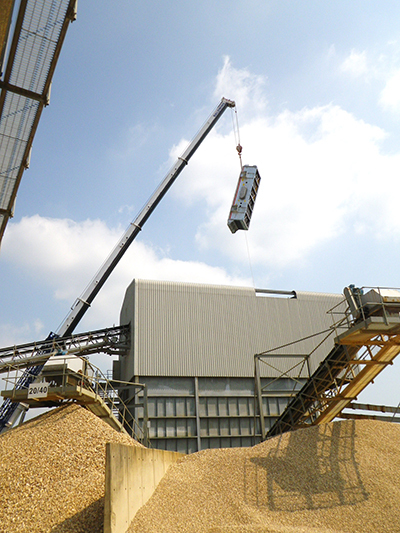 Over a one week shutdown, part of the screen house roof was removed and the internal structure was reconfigured to allow the existing screen, weighing 8t to be replaced with a new, slightly larger machine. The positioning of a suitable crane to carry out the lift so as not to disrupt day to day operations was crucial and it was up to the Centristic’s in-house appointed person to design the lift and Centristic’s experienced site team to manage it, avoiding any lost time for dredger discharge at the wharf.